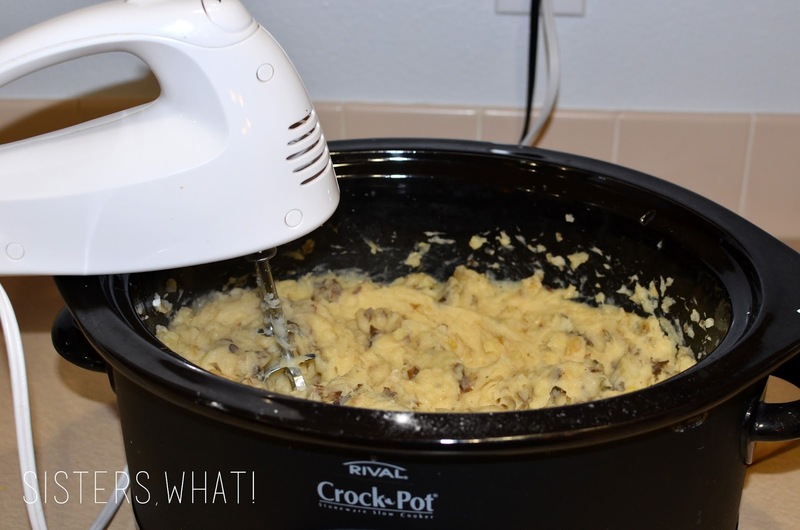 ' Slow Cooker Mashed Potatoes - Sisters, What! Can you believe it's actually fall time!! 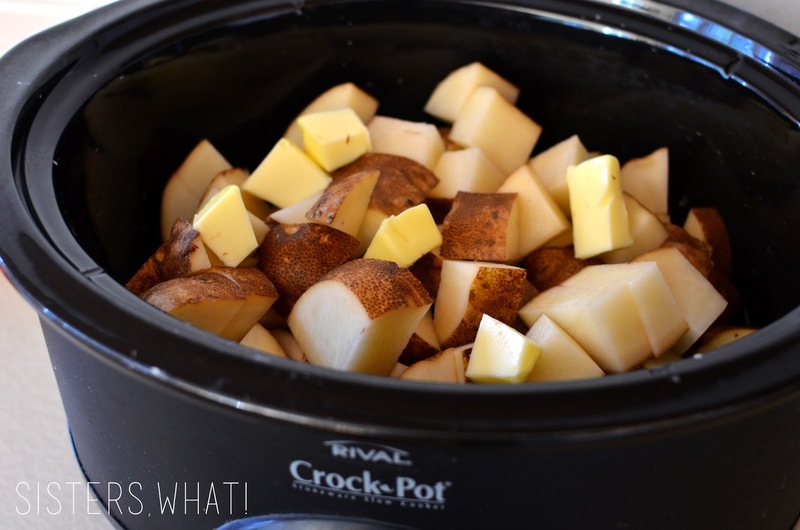 Which means to me lots of delicious fall crock pot recipes to make these busy days less hectic. These slow cooker mashed potatoes are some of my favorite and I make them a little healthier with some greek or regular yogurt. Soo, apparently these have been sitting in draft form for about a year now, so it's high time I finally shared the recipe with you. I chopped them up, added some water, a little butter and salt and pepper and let it cook. A few hours later they were done and smelling delicious. I also used my electric mixer and they were mixed in a jiffy. It was a thing of beauty. The best part of this whole process was when I added in some greek yogurt instead of heavy cream. Oh my so good and much healthier. 2. Once done, add your yogurt, milk and salt/pepper. If you're going to use your electric mixer, barely mix until mashed up. 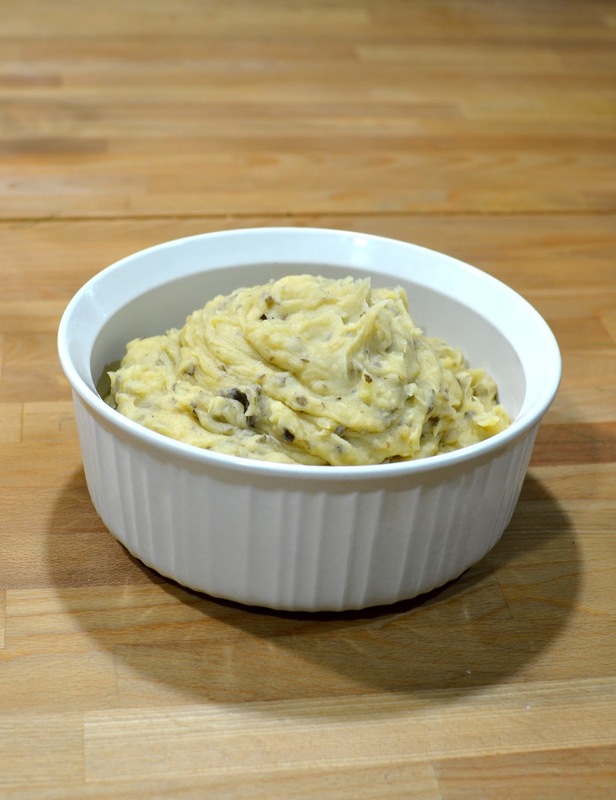 You don't want to over beat your potatoes or they can turn into a paste (still good, but not as good as fluffy potatoes).